For the last 30 years, Greg Danielson has primarily represented oil and gas companies in the areas of exploration and production. He has extensive experience in the negotiation and preparation of purchase and sale agreements, various forms of exploration and marketing agreements, and preparation of all forms of title opinions, including drilling, division order, financing, and acquisition opinions. 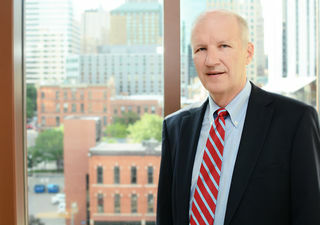 Mr. Danielson is an active participant with the Rocky Mountain Mineral Law Foundation. He has served on the Board of Trustees and the Executive Committee for the Foundation and co-chaired special Institute Programs in 2002 (The Regulation and Development of Coalbed Methane) and 2004 (Development Issues & Conflicts in Modern Gas and Oil Plays).